commissaryvancouver@gmail.com Rates for Regular Business Hours: $30 all inclusive. 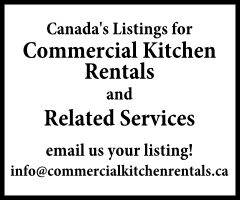 kitchenmanager@ccssebc.com Event space, co-working office, workshops. Please email us your listing!